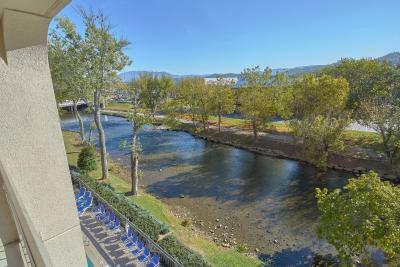 Lock in a great price for The Inn On The River – rated 9.4 by recent guests! Beds were comfortable, friendly staff, great breakfast, clean rooms, river view great!!!! Rooms were very clean and nice. Beds were extremely comfy! Great breakfast with hot food to choose from. 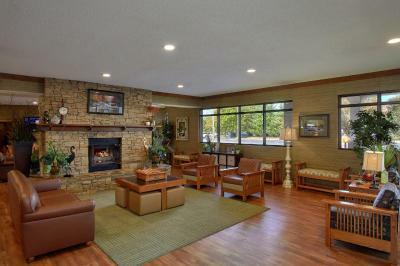 We love the Inn on the River for it's comfort and hospitality. The lady making my waffles for me!! What a treat!! I also liked the fire pit. Everything was very welcoming and inviting. Complimentary coffee and tea. Rooms were pretty clean. clean , neat , comfortable rooms . quiet and beautuful. The Inn On The River This rating is a reflection of how the property compares to the industry standard when it comes to price, facilities and services available. It's based on a self-evaluation by the property. Use this rating to help choose your stay! 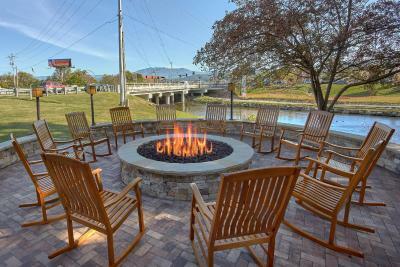 One of our top picks in Pigeon Forge – and a guest favorite. 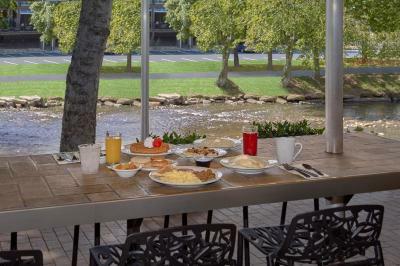 Offering views of the Great Smoky Mountains, this hotel is located on Little Pigeon River in Pigeon Forge and offers an outdoor pool and patio, heated indoor pool and complimentary hot breakfast buffet. Free WiFi access is available. 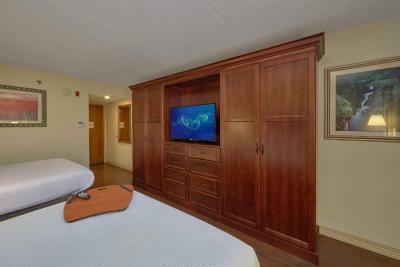 Every room at The Inn On The River provides a flat-screen LCD TV, a small refrigerator and a Keurig coffee maker. Select rooms also offer a private balcony with views of the river. 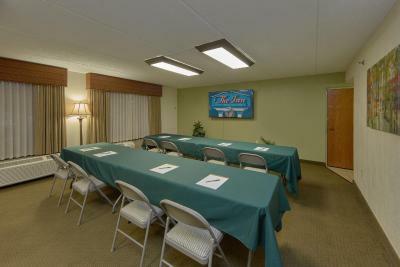 A 24-hour business center and meeting room are offered on-site. 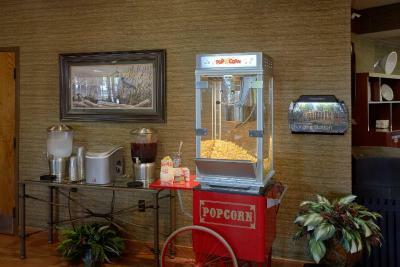 An array of board games are available for guests to play while enjoying freshly-made popcorn in the hotel lobby. The property provides free parking. Dollywood is a 10-minute drive away from the hotel. Smoky Mountain Opry and Tanger Outlet Mall are both less than 2 miles away. This property also has one of the top-rated locations in Pigeon Forge! Guests are happier about it compared to other properties in the area. When would you like to stay at The Inn On The River? 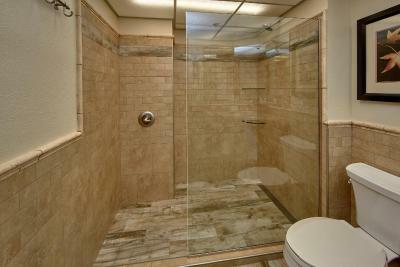 This room includes a small table with 2 chairs and a private bathroom with granite countertops. Featuring a private balcony with a view of the river, this room includes a work desk with an ergonomic chair and a private bathroom with granite countertops. House Rules The Inn On The River takes special requests – add in the next step! The Inn On The River accepts these cards and reserves the right to temporarily hold an amount prior to arrival. This is a family friendly hotel! They greeted our kids with a gift bag and scavenger hunt. 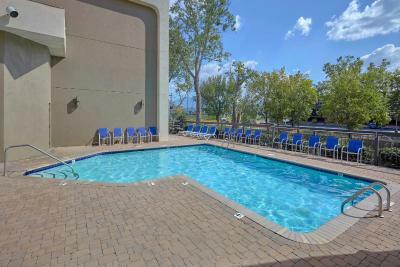 Nice pool and games to play in the lobby. 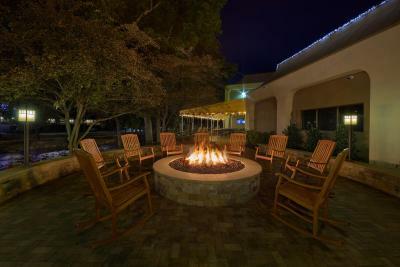 The outside patio area and fire pit was a great place to relax. It was very comfortable and cozy. The staff was extremely nice and accommodating. I would definitely go back! We were made to change rooms after the first night because they didn't catch that we had a 2 night booking. Walls very thin. Parking was horrible. I had to park in the back lot 3 out of 4 days and I was in the first building. My only "complaint" is that I am pretty sure I booked a view of the water. We got a view of the parking lot.